Heat oven to 350F (325F for dark or nonstick pan). Grease and flour 15x10x1-inch pan, or spray with baking spray with flour. Show off a cake on a pedestal when you've baked it in 2 layers. Grease and flour two 8-inch or 9-inch round pans, make the cake as directed and bake the layers for 25 to 32 minutes. 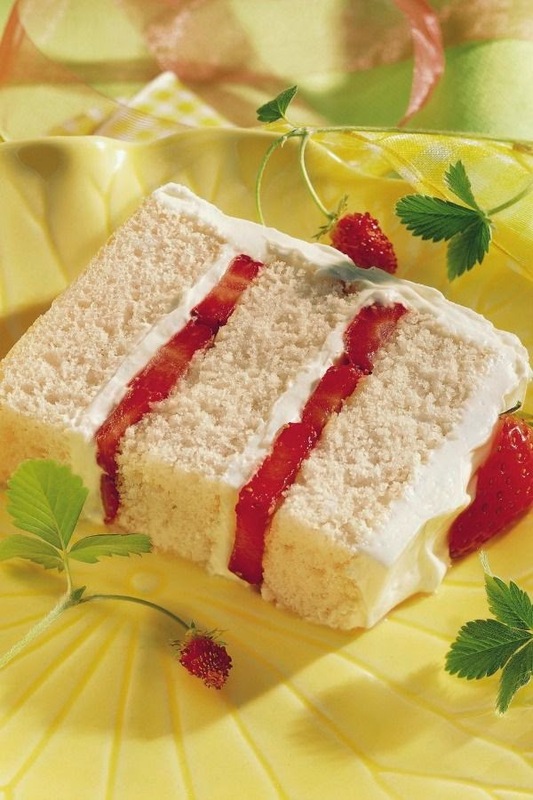 Fill the layers with some of the frosting and sliced strawberries. Then frost the side and top of the cake, and top with the rest of the strawberries.